People who enjoy the thrill of a challenge will find plenty to like at this unique attraction. In addition to climbing trees and ropes throughout this adventure park’s many courses, brave travelers can also opt for a ride on the Canyon Flyer, Australia’s top zipline tour. Featuring speeds of up to 70 kilometers per hour, this incredible tour takes around 3 hours to complete and is open to both adults and children. A heritage-listed zoological garden that truly shines a spotlight on Australia’s incredible ecosystem, the Currumbin Wildlife Sanctuary is one of the most popular spots on the Gold Coast. Exhibits include the likes of Tasmanian Devils, koala bears, freshwater crocodiles and cockatoos. The park is also famous for feeding huge flocks of wild rainbow lorikeets, a local tradition that visitors too can partake in. Another destination that all nature lovers should find particularly appealing, Springbrook National Park impresses due to its remarkable size and the wide variety of activities that can be done inside its borders. From hiking on the Purling Brook Falls Circuit to swimming in the Warringa Pool, there’s a little bit of something for everyone here. Don’t miss the Best of All Lookout, an aptly named vantage point that overlooks the entire area from high up above. If your taste veers more towards aquatic entertainment, you’d be hard pressed to find a better option on the Gold Coast than the Sea World theme park. In addition to being a full-fledged oceanarium with lots of interesting exhibits, the park also offers various rides like Storm Coaster and Jet Rescue, along with interesting thematic shows about underwater life. An absolute must for families with children. 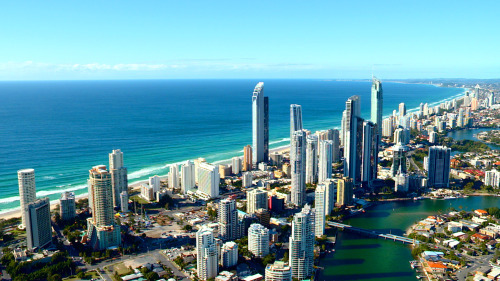 No visit to the Gold Coast could ever be complete without a trip to Surfers Paradise. This small suburb is the area’s entertainment and tourism hub, featuring everything a traveler could possibly want. Known for its luxurious skyline and famous Meter Maids, this is the perfect place to go to for a day at the beach or a night on the town. For great views of the surrounding area, be sure to visit the Observation Deck of the Q1 building, the tallest structure in the entire Southern Hemisphere. And so we’ve reached the end of our countdown of the five most visit-worthy places on Australia’s Gold Coast. 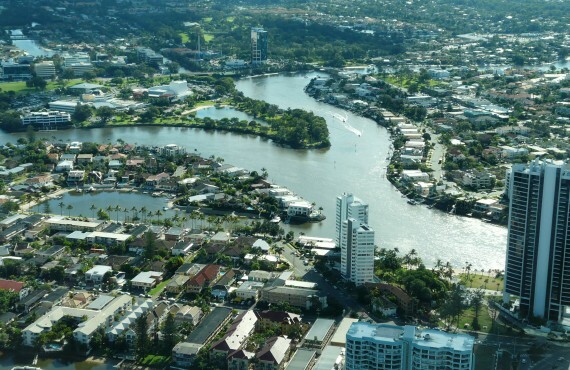 The land Down Under usually tends to be a big hit with travelers due to its friendly climate and numerous attractions, and nowhere is this more apparent than here in Queensland’s finest. Whether traveling solo or accompanied by loved ones, you’re sure to find something here to your liking. Gold Coast has beautiful beaches where you can spend several days enjoying yourself. Different people will prefer certain activities when they are free.